Microsft/Yahoo shenanigans (or should we call them Yahoolilgans?). ones don't make the cut at all, and never come back. 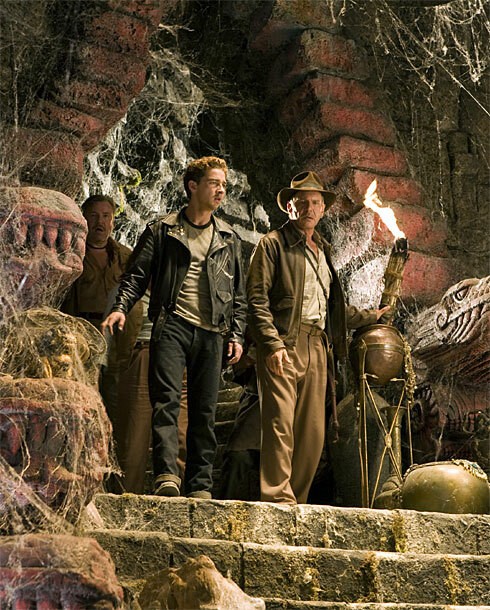 There's also big news in the movie world, where tomorrow marks the first trailer for the new Indiana Jones movie, Indiana Jones and the Kingdom of the Crystal Skull, which will be available both on television spots and on the Internet. Watch Good Morning America tomorrow between 8 and 9 AM Eastern time to get your first look. I'm sure it will be online directly after that. Today must also be a banner day for George Lucas, who in addition to taking part in the Indy announcement also had some Star Wars news to share: there will be a new movie, albeit an animated one based on the Clone Wars. Hey, we'll take whatever movies you throw at us George. We've been buying tickets to Star Wars since 1977, and it's not going to stop now. The date for the new movie is August 15, so there's quite a while to wait--but the expectation helps to build it up. Pass the popcorn. OK, so we've talked about two of my favorite film franchises, Indiana Jones and Star Wars. I just wish we had some James Bond news to round this all out. conference for Quantum of Solace, the next Bond movie. Aaah, that feels better. And don't forget about the new Knight Rider movie, presumably the pilot for the new series, debuting this Sunday.